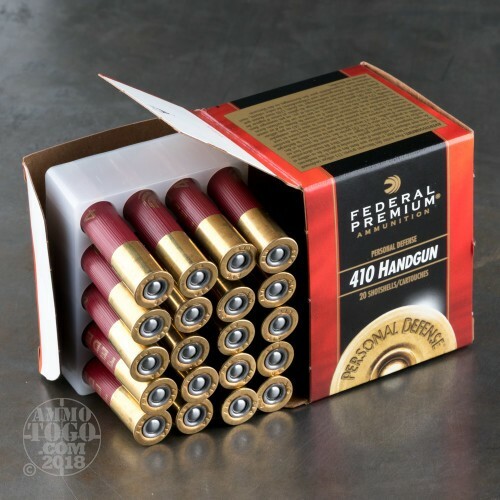 These loads from Federal aim to be the best choice in a lightweight, 2-1/2 inch length shells for carry with the compact models of .410 Bore revolvers. 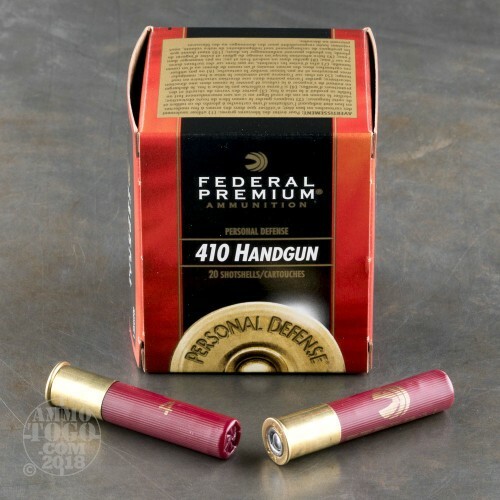 Especially designed for pistols like the Taurus Judge and S&W Governor, these shells use a unique wad which engages a revolver's rifling in order to accurize the shot cloud and tighten patterns. 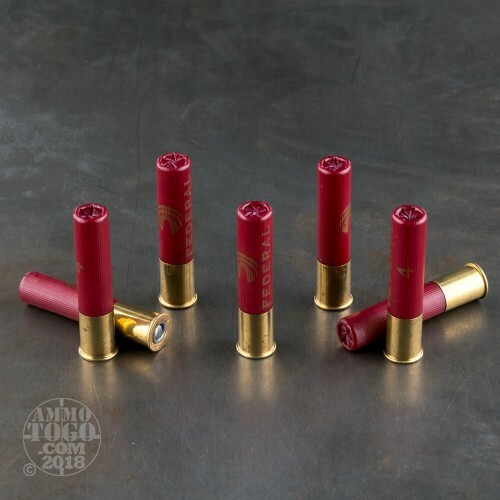 Each of these shotshells contains 7/16 of an ounce of #4 shot (approximately 60 pellets' worth) for great velocity and manageable recoil. 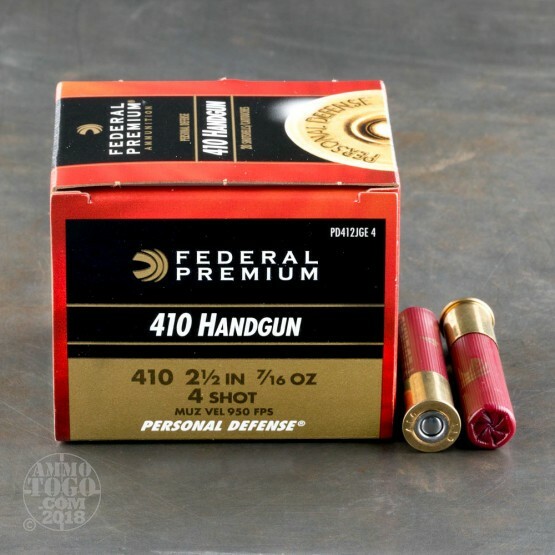 Federal plates these shot pellets with copper for increased hardness. Hard shot more readily maintains its round shape which reduces the risk for erratic fliers and increases the rate of effective penetration. These shells use reliable primers and high brass hulls for impressive energy. Federal Premium is well known in the United States for its unyielding quality and innovative designs. Their rounds have been trusted to serve high risk warrants, put food on tables, and win Olympic gold medals.